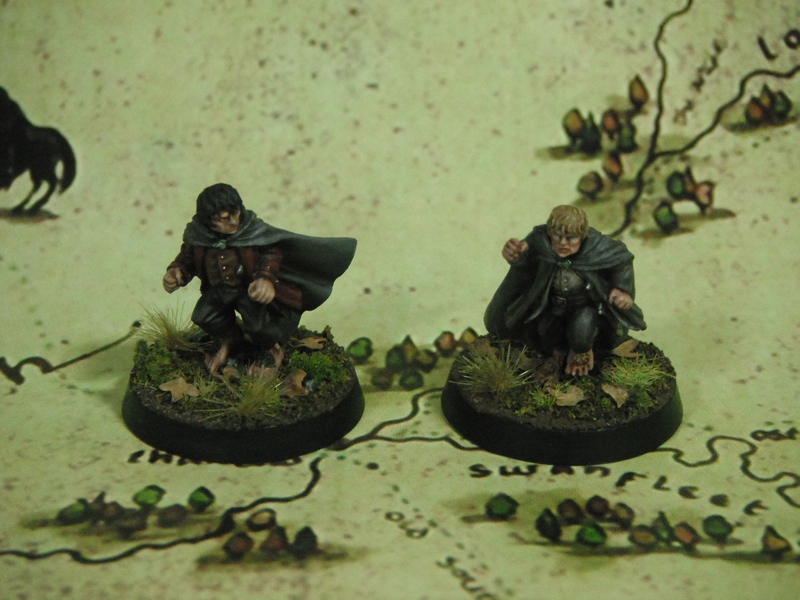 A couple more models from ‘The Breaking of the Fellowship’ set, this time Frodo and Sam. I’ve really enjoyed painting the hobbits. It’s been something of a challenge because of their tiny size but I am very pleased with the results. 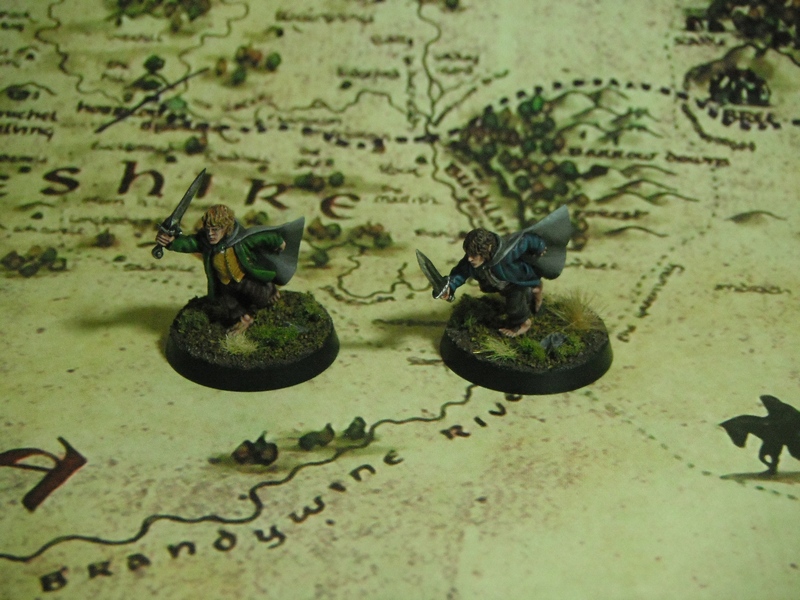 Recently I have been painting a lot of Lord of the Rings and The Hobbit models. My passion for these models has really been reignited by the recent film. Currently I am working my way through ‘the Breaking of the Fellowship’ set which depicts the Fellowship as they appear during the climatic scene of The Fellowship of the Ring. Here are the first fruits of my labour, Merry and Pippin. These models really are tiny (standing about 2cm tall) but are really finely detailed. They were a great deal of fun to paint although painting details such as the eyes were tricky! However, undeterred I have already started work on Frodo and Sam who should be finished soon. I have finished my Skaven Warlord from the Island of Blood boxed set. This is such a great character model and was a real joy to paint up. I’ve always loved Skaven (they were my first fantasy army) but don’t fancy having to paint up the hundreds of models required for a Skaven horde. However, it was nice to work on a single character model. 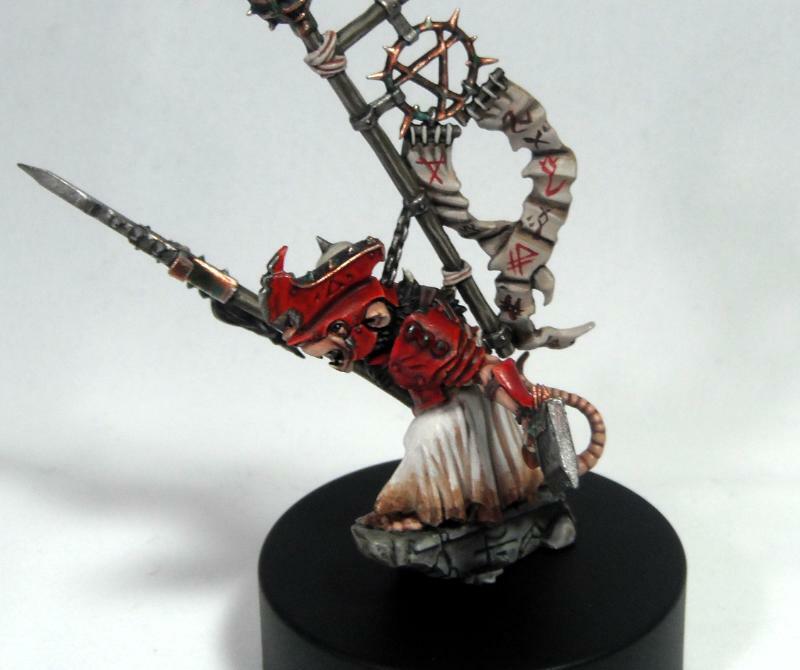 The model is painted in the classic red Skaven armour. This started with a basecoat of Mephiston Red washed with Baal Red. The armour was then shaded with Leviathan Purple followed by Asurmen Blue for the deepest recesses. Blue works really well as a shading colour for red as it is a cool colour and so contrasts nicely with the warmth of the red. After shading the red was highlighted with several thin, almost transparent, layers of Blood Red to build up the colour followed by Blazing Orange and finally the aptly Vermin Brown for the edge highlights. A final glaze of Bloodletter enriched the colour and tied all of the highlight layers together. The dirt on the robes was painted using Mig weathering powders (Dark Mud and Dry Mud) mixed with Lahmian Medium and built up in thin layers.